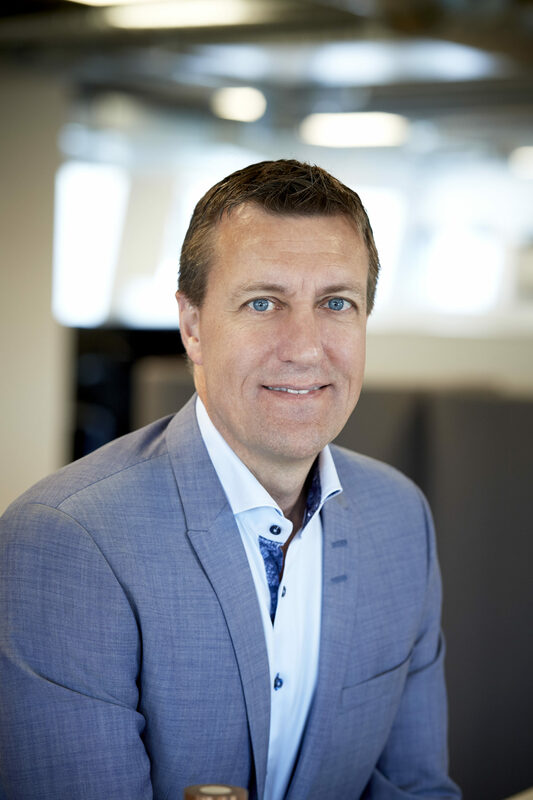 Michael C. Hjorth, Senior Vice President & Head of Front End Sales for HV Solutions in NKT, is doing the opening speech at CRU Wire & Cable Conference 2018 in Copenhagen which NKT is also sponsoring. Mic hael C. Hjorth headed up NKT Flexibles for more than two decades providing large infrastructure flexible pipeline solutions for offshore production of hydrocarbons from the seabed. Recently he rejoined NKT with the focus on high-voltage cable solutions with the desire to drive technology, efficiency and quality in all aspects of the business to support the power transmission industry to become the backbone of tomorrows society. NKT is sponsoring the CRU Wire & Cable Conference – what do you expect from the conference? 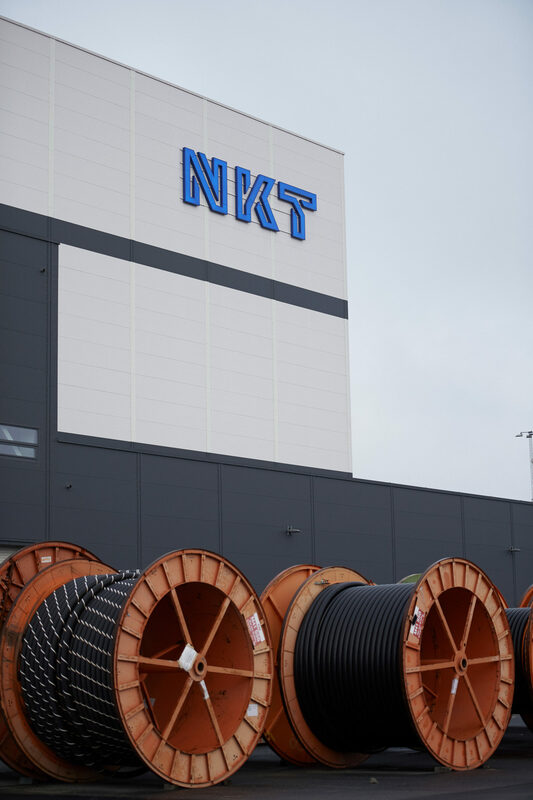 It is a pleasure for NKT to be the sponsor of the CRU Wire & Cable Conference in Copenhagen bringing together the cable industry to discuss the opportunities and challenges in the market. We believe close collaboration is important to drive the cable industry forward and ensure great conditions to operate under. Personally, I am looking forward to a few days of interesting discussions, new perspectives and inspiration from the industry. At CRU you will give a presentation on the NKT market outlook – how do you see the market of power cables? We have a positive outlook and see a large pipeline of high-voltage projects creating interesting opportunities for the industry. Unfortunately, we have recently seen some interconnector projects being postponed for various external factors creating short-term challenges with a lower activity level. This is creating an unfavorable market balance between supply and demand which will impact the activity level and capacity utilization in the industry in 2018 and 2019. When we look past the current challenges, our outlook is positive and we see a promising future for the industry with a growing demand for power cables globally. The market of low- and medium voltage cables tends to be more stable and driven by a wide range of local and regional projects and we anticipate it to grow steadily in the years to come. What is the key drivers in the market? If we look at the long-term development we see that the integration of renewable energy and the global urbanization are two of overarching trends impacting in the market of power cables. Renewables are already shaping the market in especially Europe where the industry has great experience integrating hydro power as well as the on- and offshore wind parks already up and running. In the years to come there is a strong pipeline of offshore wind projects in Europe creating a positive outlook for the cable industry. At the same time offshore wind is also growing outside of Europe. We see offshore wind start to take off in countries such as the US, India, Poland and Taiwan creating new opportunities for us and the rest of the industry. Another key aspect of the continuous rise of renewable energy is integrating it in the grid. As more and more energy now is produced far from the areas where it is consumed we need an interconnected power grid ensuring efficient transporting of the energy. 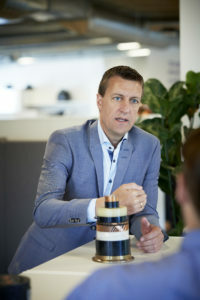 This ambition of an interconnected grid is driving the big interconnector projects being planned in Germany and the Viking Link between UK and Denmark as well several other connections currently being planned. The interconnectors will play an important role in stabilizing the national grids as the renewable power generation is an intermittent source that must match the need for constant and secure power transmission. At the same time, we see a future with growing population and strong urbanization which is creating constantly growing cities in need of new houses, buildings and efficient power grids to handle the change. Urbanization will drive demand for both building wires as well medium- and high voltage cables to reinforce and extend the local and regional power grids to meet the demand of the growing cities around the world. Finally, we should not forget that the gradual phasing out of hydrocarbon energy sources will take a long time. During this period, we expect to see an increasing use of power-from-shore applications to energize offshore platforms with environmentally friendly electricity as an alternative to diesel generators or gas turbines. This will also drive the demand for high-quality power cable systems. What impact does this have in terms of technology? I think two main changes will apply in the years to come. We will see HVDC become the preferred technology in key areas of the market. 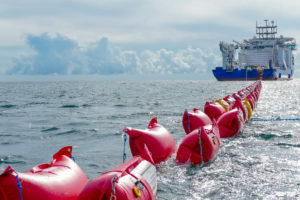 As offshore wind farms are being located further from shore HVDC will be the most efficient technology minimizing the loss of energy during transportation and HVDC will also be the dominant technology for the interconnector projects being planned in Europe. Secondly, we will continue to see the voltage levels of the installed cable systems increase to meet the growing demand for efficient transportation over long distances from remotely located renewable resources. This is a trend we expect to see both for HVAC and HVDC applications in the market. In the industry we have a long history of constantly pushing the limits of technology taking the voltage levels and cable dimensions to new levels. This led us to launch the first commercial 640 kV HVDC XLPE cable last year increasing the voltage level from the previous record of 525 kV HVDC. In the years to come I believe the industry will use 525 kV or 640 kV cables for more projects to when suitable of course. 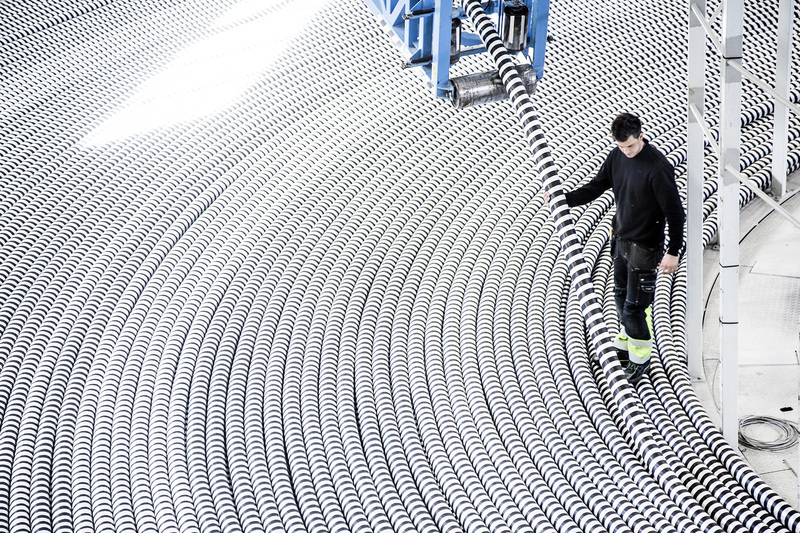 ABB High Voltage Cables, Karlskrona. How is NKT positioned for the shift in technology? We are well-equipped to meet the markets growing focus on HVDC cables. 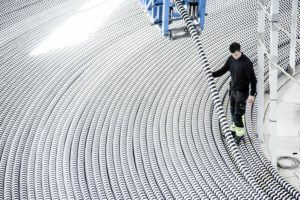 We have a proven track record and unmatched experience in designing, producing and installing HVDC cables connecting offshore wind farms and for both on- and offshore interconnectors. Currently we are also installing the HVDC cable bringing power to the O&G platform Johan Sverdrup in the North Sea highlighting the industry focus to power offshore platforms from shore cutting the CO2 emissions dramatically. Here, as well as in many other offshore and submarine cable projects, we make good use of NKT Victoria – our state-of-art installation vessel that recently celebrated its 1-year birthday after a long range of quite remarkable offshore campaigns across Europe. In terms of innovation we continuously try to challenge the status quo of the industry and we are one of the true pioneers of the cable industry with a long history of innovations. Recently we were the first to launch a commercially approved 525 kV and 640 kV HVDC cable setting new industry records. We also operate some of the most advanced high-voltage testing facilities in the industry and we have a strong team driving innovation and product development. The future looks promising for the industry and NKT is ready for the future and I am confident that we will continue to be one of the key players in the industry.